Town is kinda quiet these days. Nice time to be down here to enjoy some sunshine! You have the beaches to yourself! 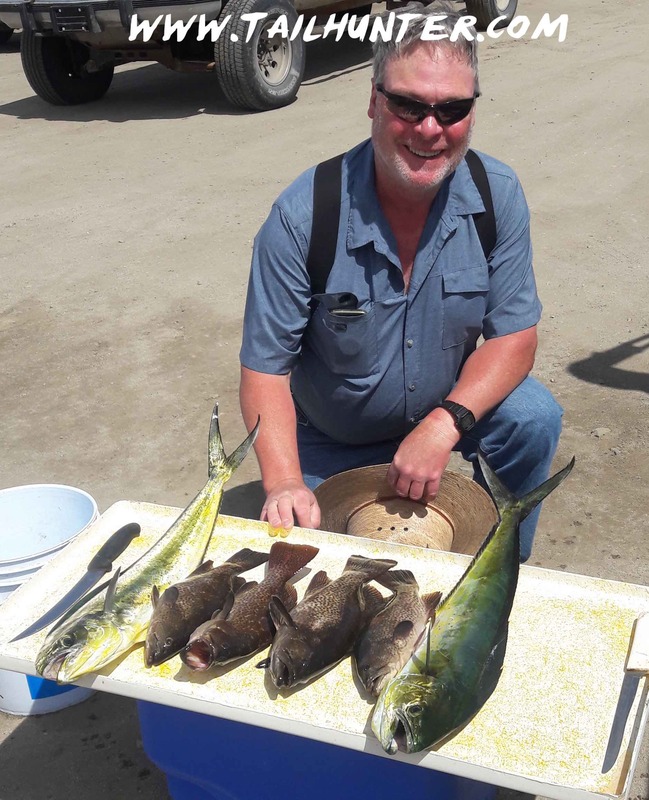 When you can only squeeze in one day to fish in between bouts of wind and you make a great day out’ve it…Elijah Rush from El Cajon, CA got a handful of dorado, a tuna and some pargo (not pictured) for the ice chest! Typical catch right now. Some snapper. Some pargo. Maybe some dorado. As far as conditions, it wasn’t as bad as it has been when it’s been windy and rough with port closures. Actually, it was pretty nice overall. Sun’s out and a nice time to be in town with day time temps like a postcard in the high-70’s to low-80’s and night time temps in the high-60’s. Breezes kicking up to about 15 mph, but mostly later. You can see why lots of snowbirds are “escaping” into town right now and we’re getting inquiries from Minnesota, Canada, Montana and North Dakota! 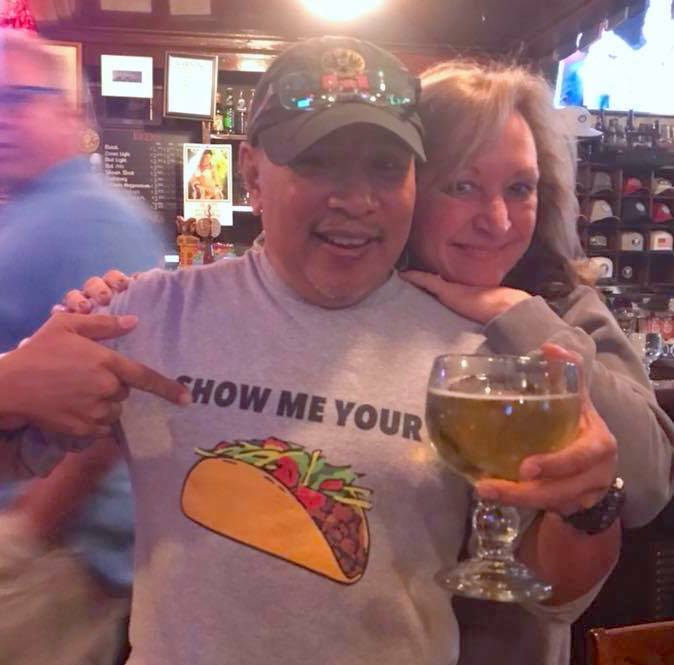 No matter how “bad” our weather is, the only snow you’ll find is in a margarita glass. But, by the same token, not many folks fishing. Almost no-one as a matter of fact. The folks coming to town are looking for sunshine and putting their toes in the sand. The waters are still rougher than normal. In fact, last week several days the port was closed to all boat traffic coming or going. So, even if it’s calm in the bay, it can be crazy outside. Even, inside the bay it can be churning. Two weeks ago, an independent dive boat overloaded with more than 2 dozen divers ignored the closures and went out. It got swamped and sank! Fortunately, everyone was picked up from what we heard. However, we did get a few folks out. On the days it was really windy, we couldn’t go. If it was moderately windy we were still able to fish inshore for some cabrilla, snapper, bonito and jacks. 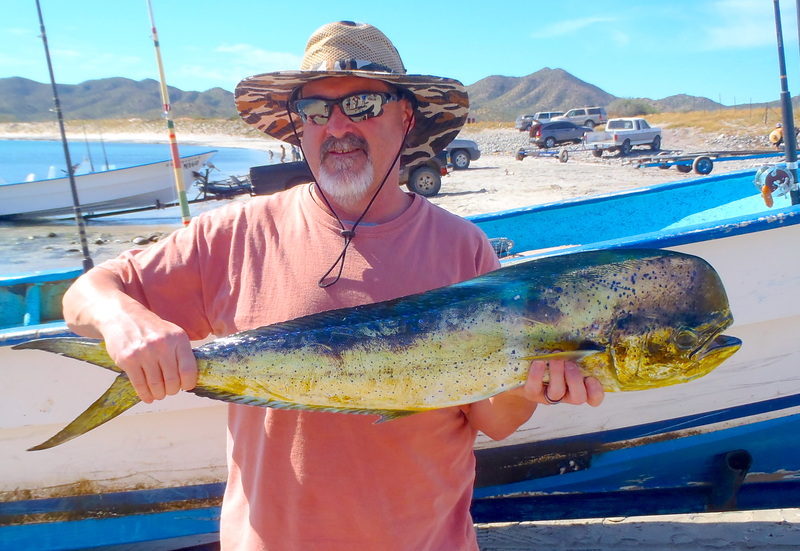 Weather permitting, if we could get just a little outside, there’s some dorado and tuna still hanging out. Live bait has been an issue because of the rougher weather pounding the shallow bait areas so we’re using mostly dead bait or lures lately. 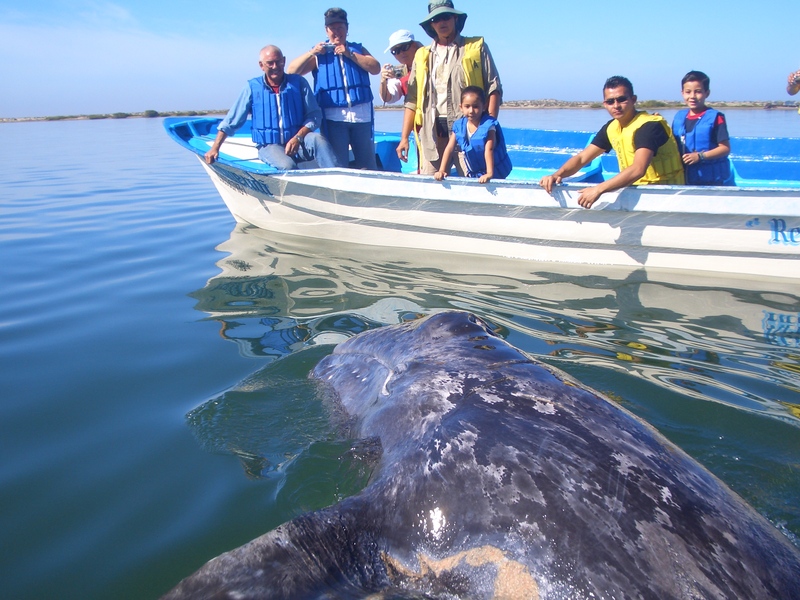 Don’t forget our annual Whale Watching Season at Bahia Magdalena runs from January to March. Contact us for more info about a great family event and the opportunity to see these magnificent animals up close like you’ve never imagined! 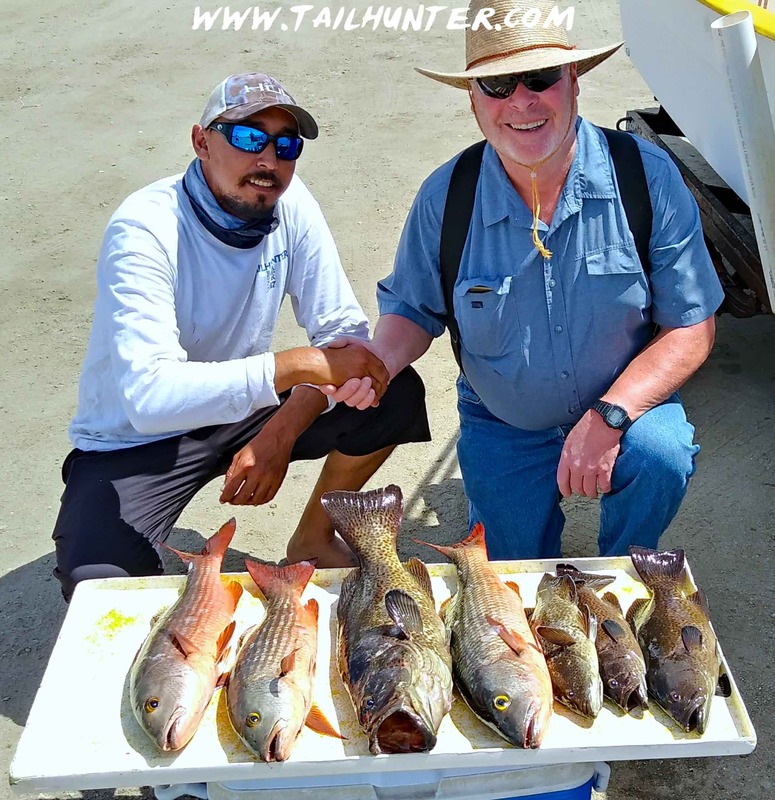 A mess of great eating for Carl Bock from Puyallup Washington with Captain Pancho and some nice cabrilla and pargo lisa (mullet snapper) taken off the reefs and rocks. Typical winter fishing! 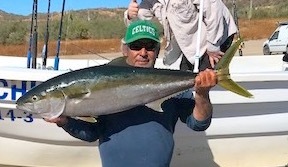 Chunky winter yellowtail for Greg Garrison of San Diego that he took off the north end of Cerralvo Island this week. Thanks for the photo, Gary! We’d like to see a few more of these as the waters get warmer. 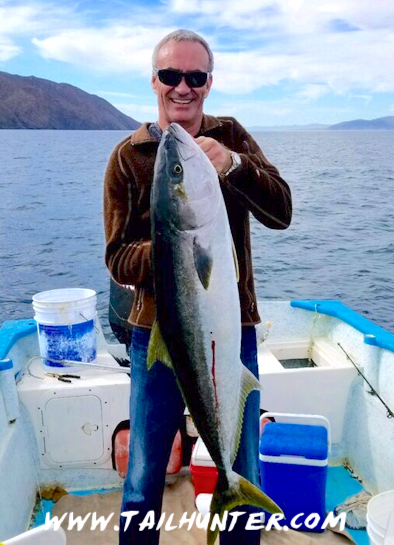 Steve Strummell from the bay area of San Francisco poses with his bull dorado. A hog trophy cabrilla off the north end of Cerralvo Island caught by Gary Garrison of San Diego. Thanks Gary Wagner for the photo. Well, the good news is that after 3 weeks, the winds settled down a bit and allowed us to get to do a bit of fishing. The bad news is that well…there weren’t many fishermen. Fairly typical for this time of year. Further bad news is that the winds are supposed to jump back up this coming week! Oh well, you just roll with it because that’s how it is during the winter months. 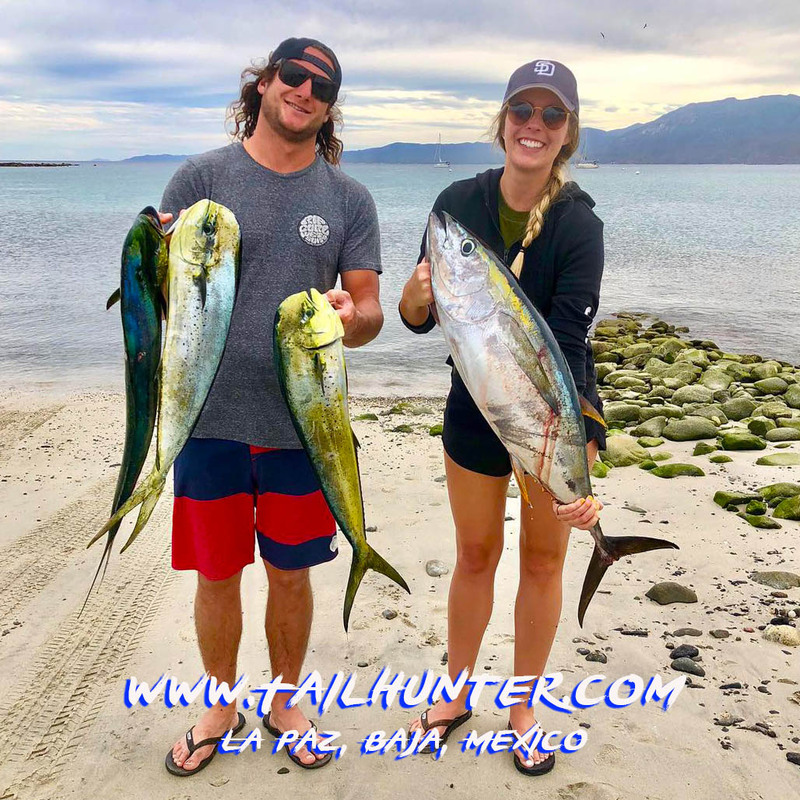 For all the lack of fishermen right now, with Easter coming up April 1, those are the busiest times for travel to Mexico and especially places like Baja and particularly La Paz where we are. Not necessarily gringos looking to party and kick it up during spring break, but for Holy Week and the dates around Easter, these are the busiest travel times for Mexicans. Moreso than Christmas or any other time of the year, Mexicans visit and travel outside the country, but also many Mexicans living in the U.S. and other places take the time to visit their friends and relatives back home. Likewise, domestically many locals travel to visit during this time. What that means is that many otherwise “empty” beaches are going to be packed with folks camping and picnicking all week. Many will be fishing too so expect that in about 2-3 weeks, it’s going to be jammed. Anyway, on the days we could fish, we got out and got an interesting mix. 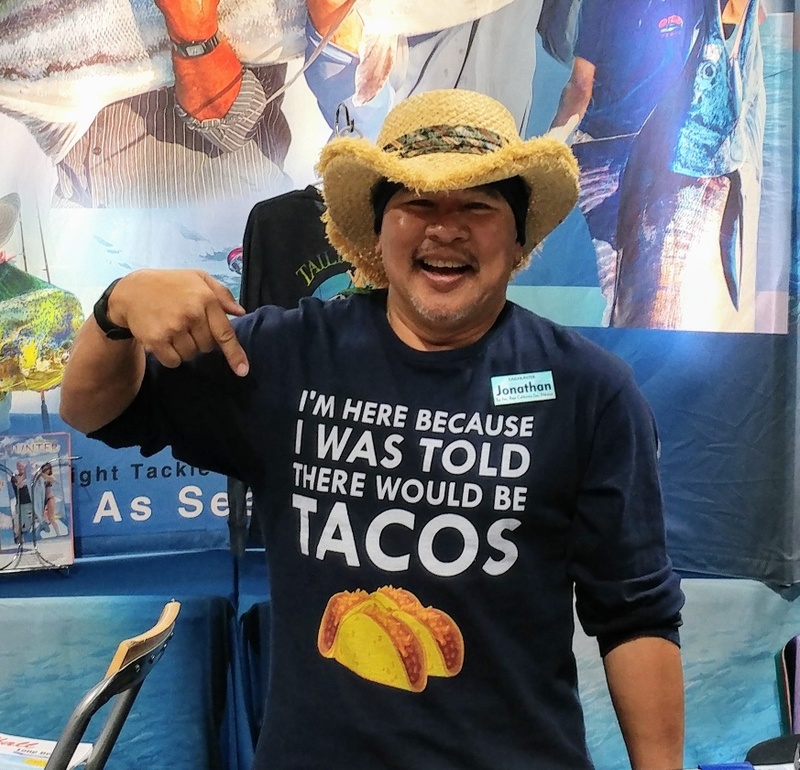 Coldwater species like snapper, cabrilla, pargo, jack crevasse and yellowtail mixed it up with warm water species like dorado and even a few tuna and lots of bonito. The better action and most consistent bite was in shallow waters over structure for the colder water species using Rapalas, live bait and dead bait. We found fish close and around Punta Perrico and also at the north and south ends of Cerralvo Island. After almost 3 1/2 months on the road with our 23rd year kicking off, we have just two more shows to do before going home. 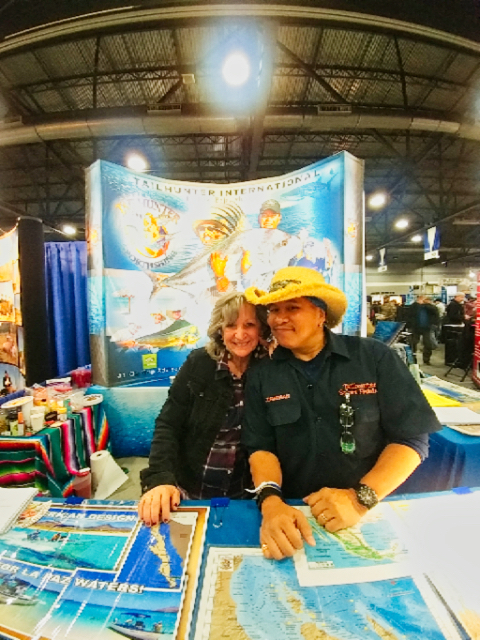 We just finished up the ISE Show in Sandy, UT, just south of Salt Lake City and a big “GRACIAS!” to everyone who came by to say hello and to those of you who booked with us, we’re sure looking forward to your visit! 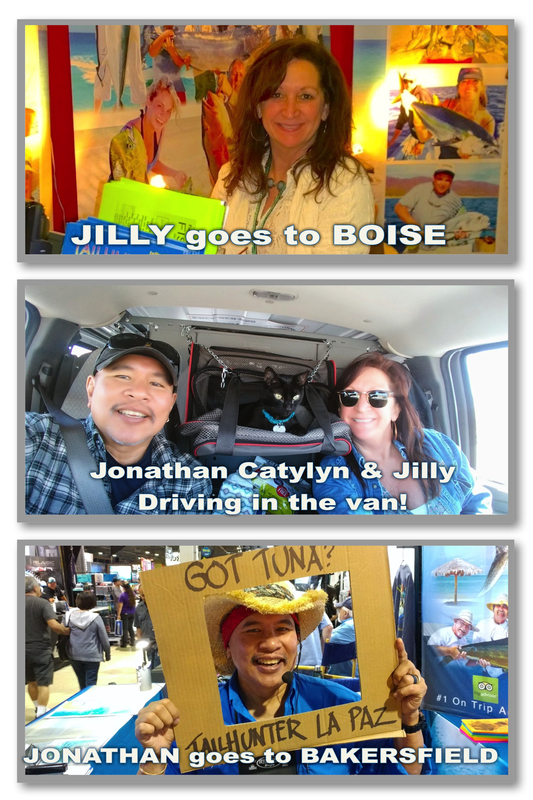 So now…Jilly and I go in different directions again. These are our last two shows of the season then we’ll be headed home to La Paz. We’ve got alot of you reserved this year, but still have some spots open! Get in touch with us ASAP so we make sure we have you covered and you get in on this 2018 season! If you can make it to Del Mar or Scottsdale, Jilly and I will be in the booth every day and it would be great to see you! Regretfully, no video report this week. Have picked up a cold up here in the states with this colder weather that I wasn’t ready for and LOST MY VOICE! 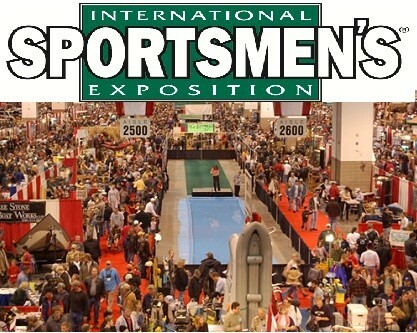 I have to save it for the 4 days of showtime this week at the International Sportsmans Expo in Denver at the Convention Center. Hopefully, it comes back! It’s not summer warm, but it’s definitely warmer than Chuwelah, Washington where Mark Burlington is from posing here with a nice dorado unusual for this time of year but no complaints. 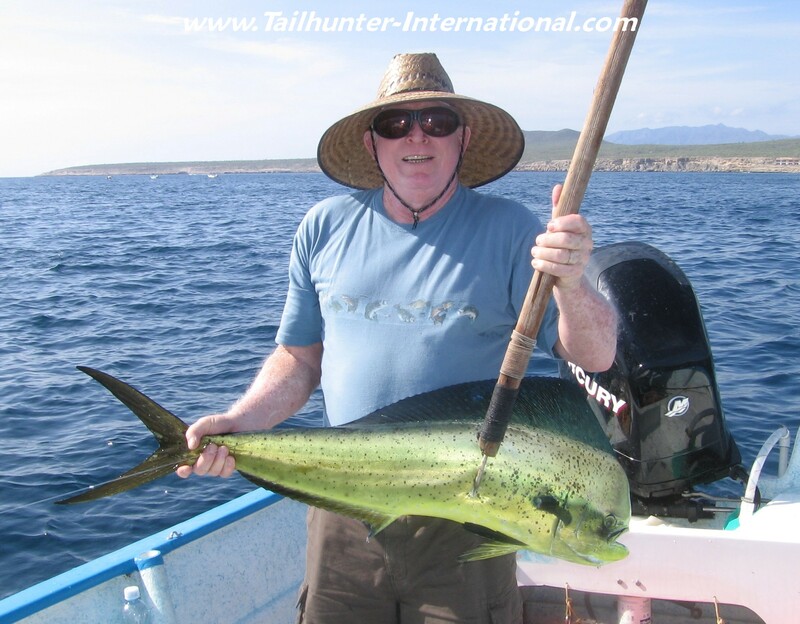 – Mark was staying at Rancho Costa there in Muertos Bay where we’re doing all our fishing this tie of the season. 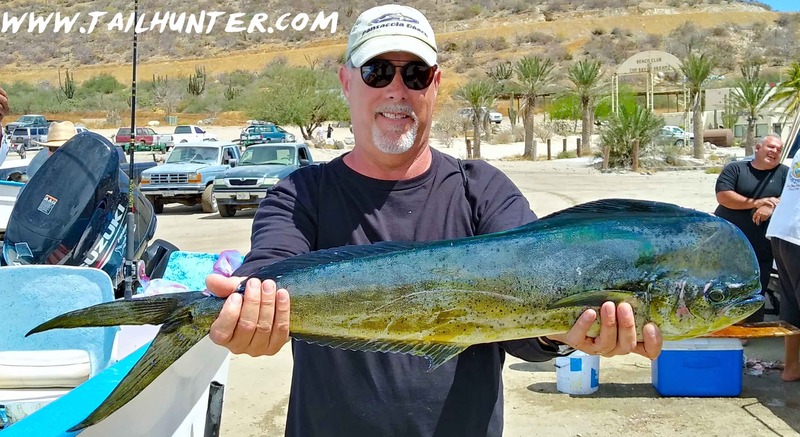 Normally, we don’t see dorado until about April or May and even that’s a bit early, but either these are holdovers from last year or new fish have moved into area. One of the reasons is in the video clip below. 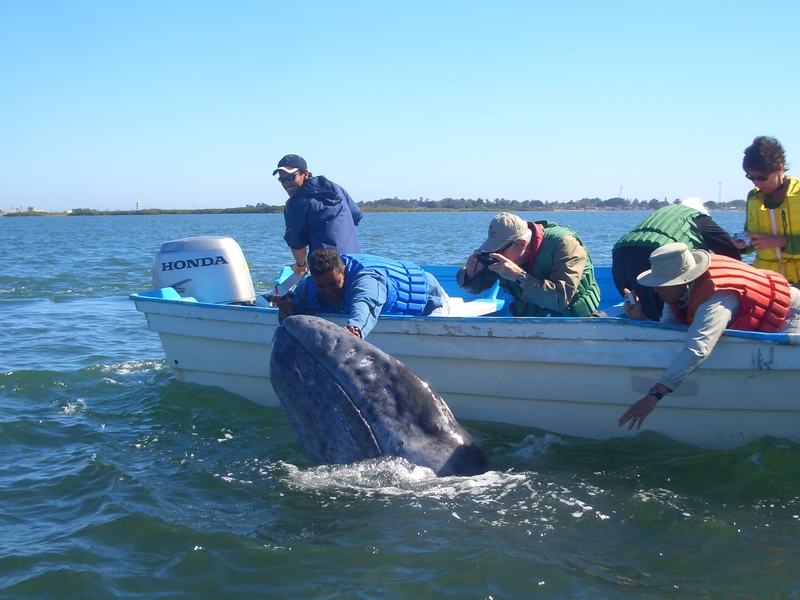 Check our the sardine schools in Bahia Muertos! Thanks to Gary Wagner for this video clip showing a big reason so many species might be in the bay right now is the presence of schools of sardines. A great sign for the season! Food!!!! 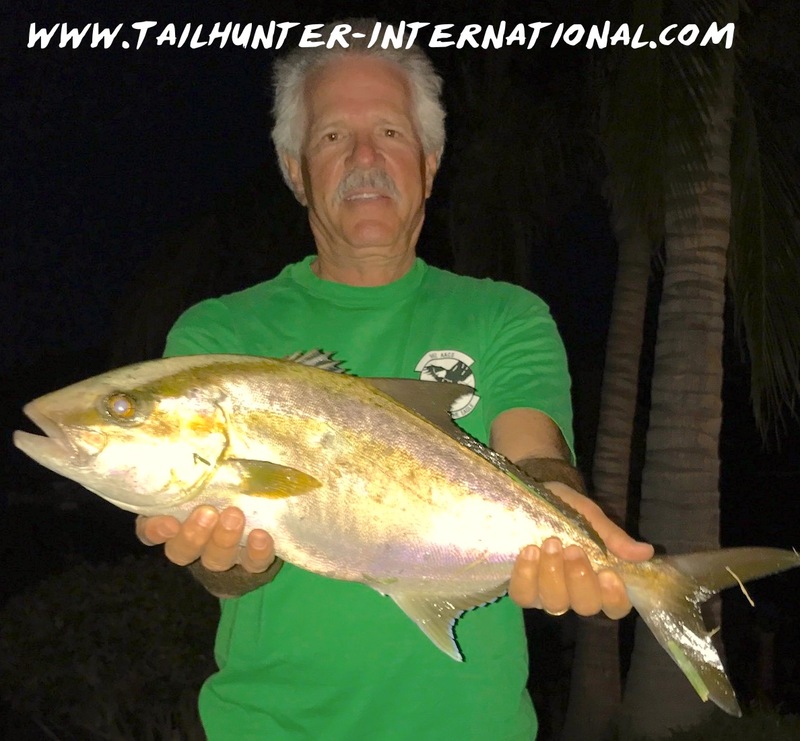 Schools of big jack crevalle have moved in and are incredible fighters especially on light tackle although not such great eating. 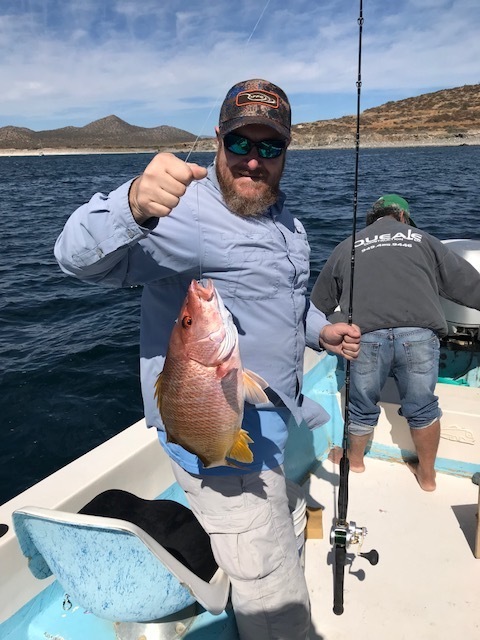 Dean Schilling all the way from Wisconsin enjoying some warm Baja weather and some time fishing. He’s staying there in the Bay at Rancho Costa. 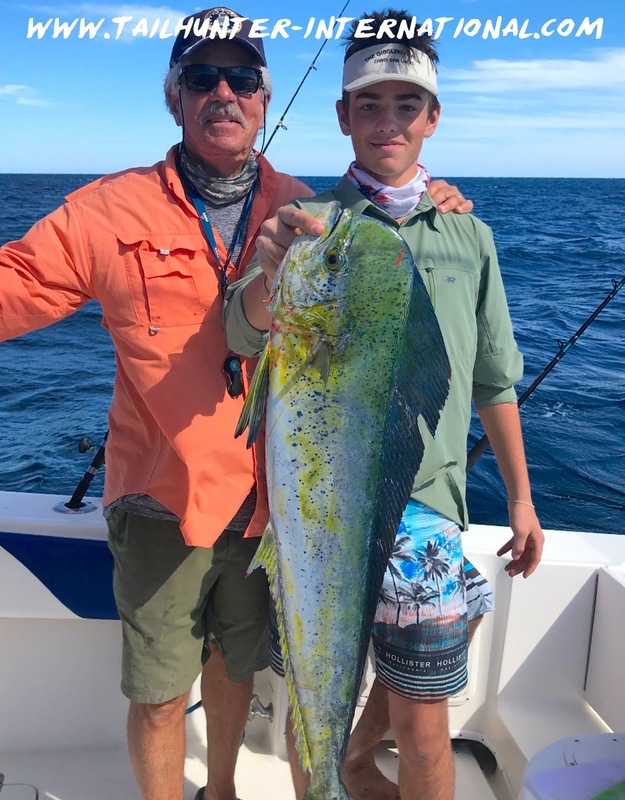 Miles Wagner from Colorado Springs CO with his dad, Gary, was throwing top water plugs when this bull mahi jumped the lure. Well, it then proceeded to jump right into the boat too! Miles also caught jacks, tuna and cabrilla this week. 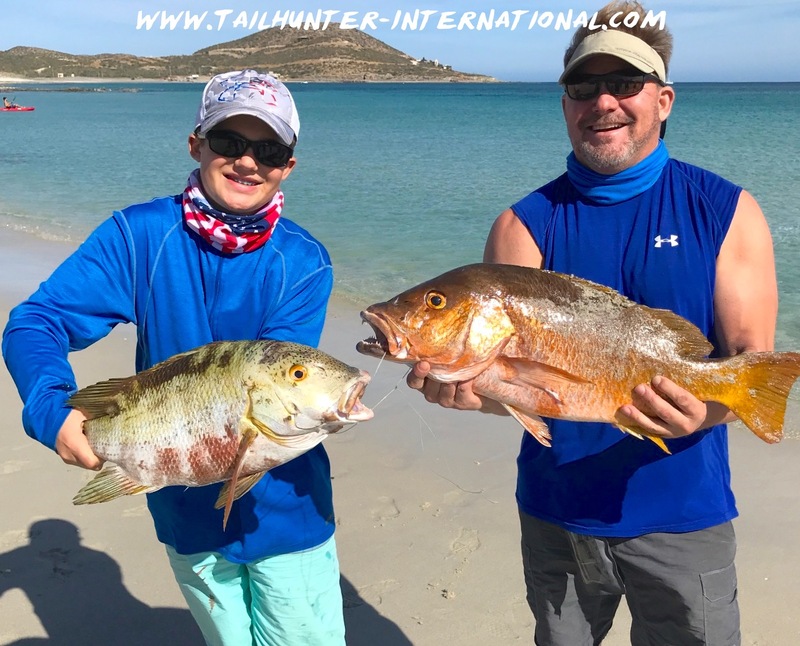 Keegan and Paul Miewski also there in Bahia Muertos rocked some good eating bottom species with a couple of hefty barred pargo mulatto! The head man himself, jefe of Rancho Costa, Gary Wagner did some later afternoon fishing and caught another early season visitor. 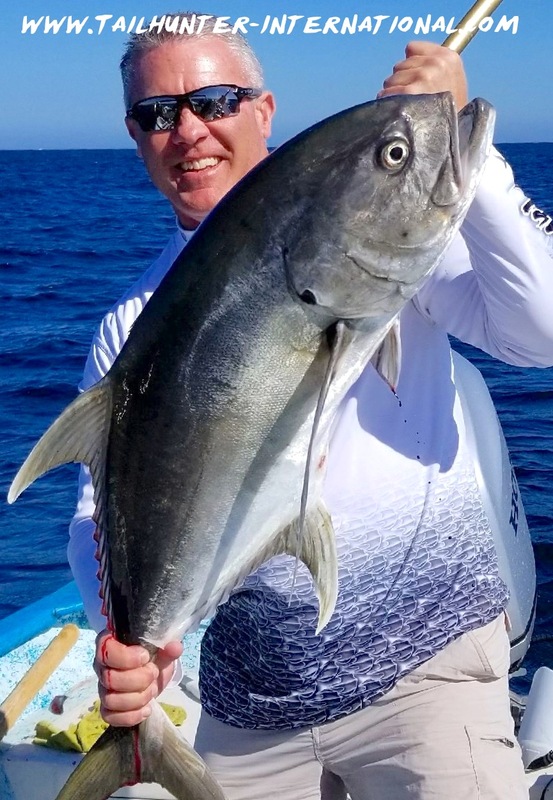 Amberjack are the larger cousins to yellowtail and we don’t usually see them until May or so! 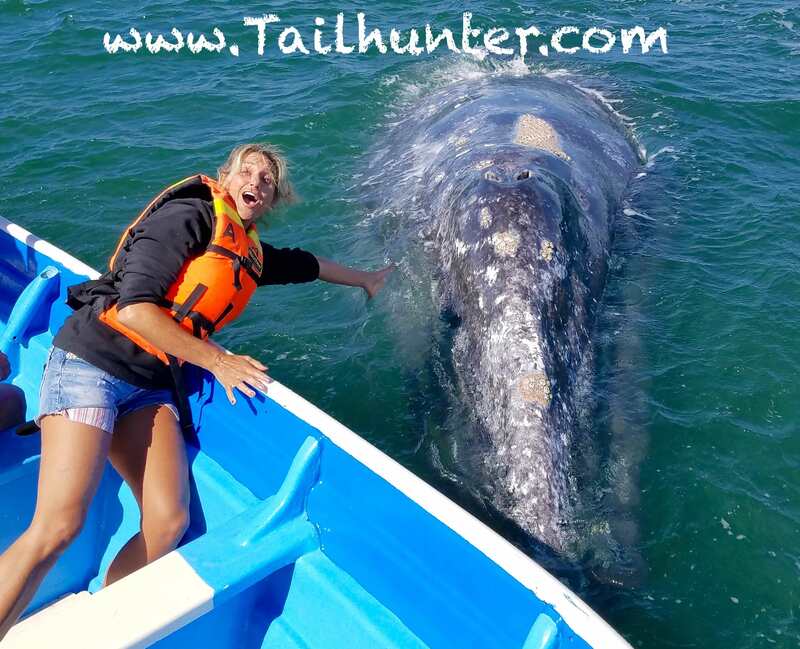 Great eating and they get over 100 pounds although this size is the best eating! Here’s something you don’t see every day. 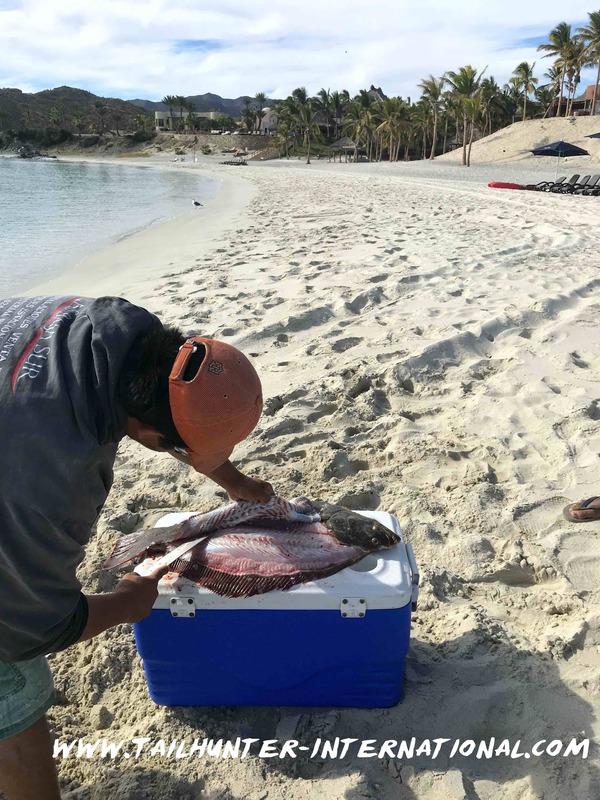 Gary Wagner who owns the Giggling Marlin Bar in Cabo and the Rancho Costa Resort in Muertos Bay was walking the beach and a commercial guy was cleaning a strange fish! 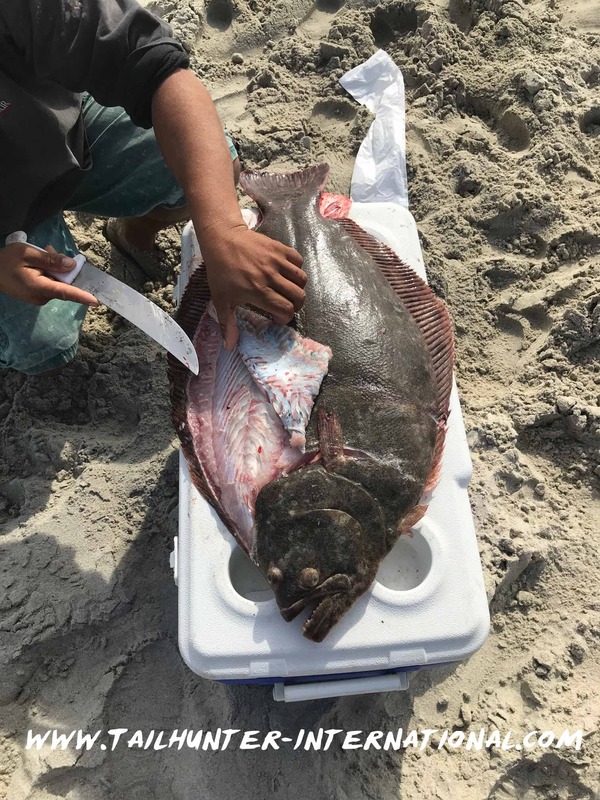 He said he was about 600 feet out in the bay and caught this…HALIBUT??? First time I’ve seen one in these waters in over 30 years! Just so you know it’s not fake, you can see Rancho Costa in the background. If it looks like a duck…walks like a duck…sounds like a duck…??? HALIBUT? Maybe salmon will show up next? The Mexican name for halibut is “Lenguado” (tongue fish). This is on the beach at Bahia Muertos and that’s Rancho Costa Resort in the background. No photoshop!!! GOOD START FOR THE YEAR WITH SURPRISE SPECIES! Happy New Year Everyone! Hope the year is off to a good start! Not a bad week of fishing. Nothing spectacular, but a nice variety of species including some genuine surprises. Not many folks fishing but everyone out did catch some fish. 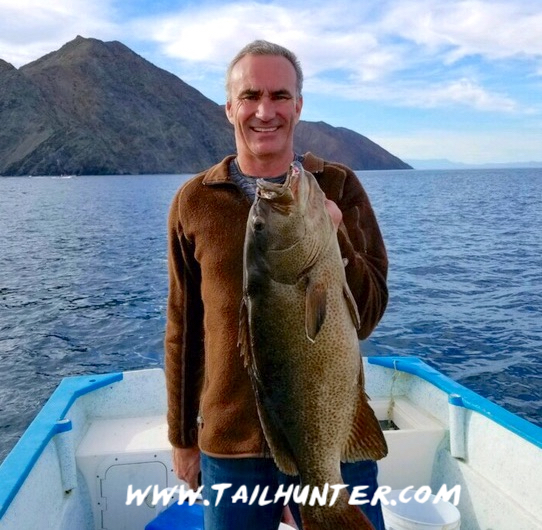 Still some pesky winds but mostly nice enough to fish with all of our fishing taking place out of Muertos Bay/ Las Arenas Areas where we can fish closer to shore and it’s more protected. In addition to species we normally catch like barred pargo, yellow snapper and cabrilla, there were also some nice schools of jack crevalle to bend the rods and put on great fights although not such good eating. Still lots of fun. 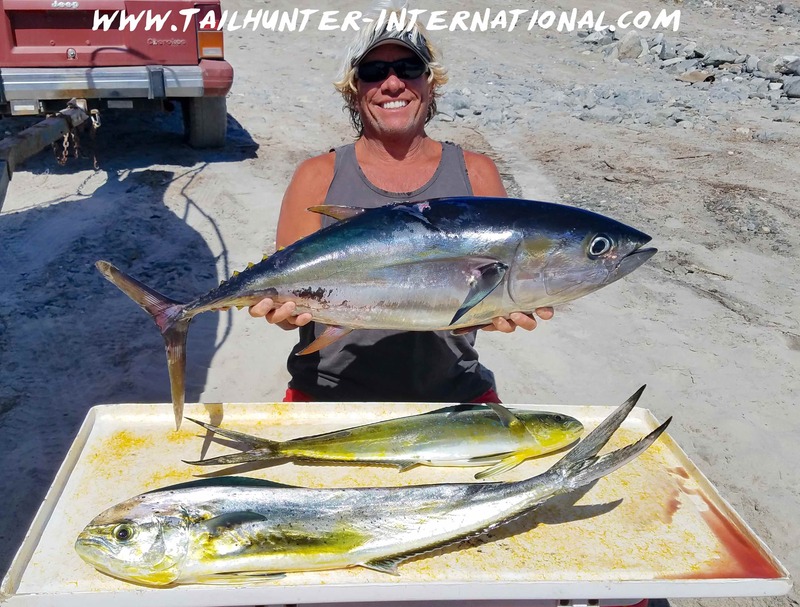 In addition, there were also bonito and a smattering of surprising yellowfin tuna and dorado around the bay as well. 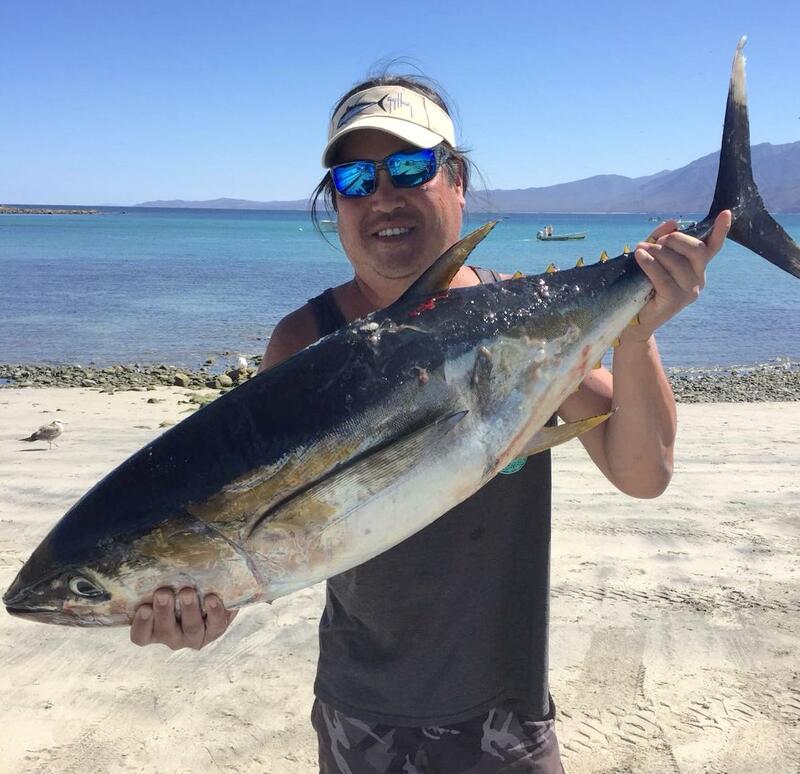 Tuna, dorado and amberjack are a real bonus this time of year. Normally, we don’t see these species until spring when the waters are warmer. 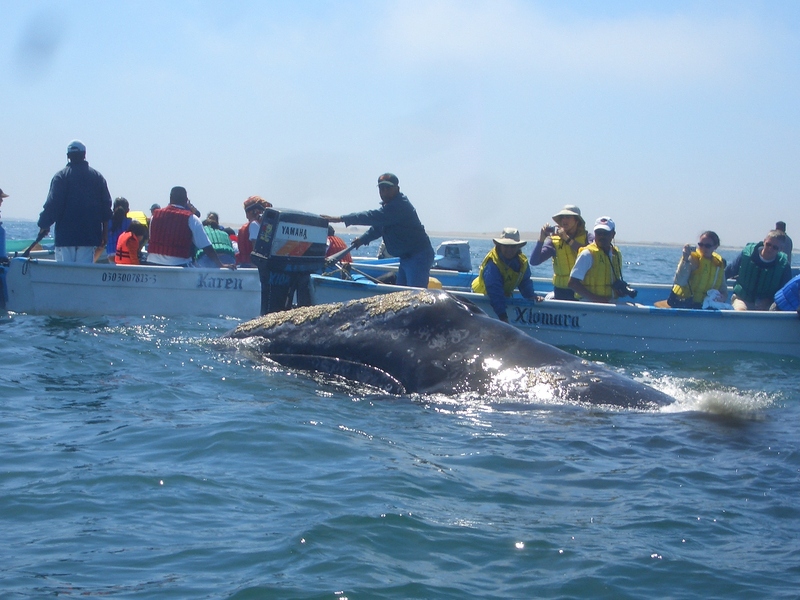 If you check out this week’s photos, you’ll also see a…halibut??? Yup . It sure looks like it! It’s crazy. Alot could be due to the fact that there’s still sardine schools in the bay drawing the fish to the food source. That’s all a great sign and hope the bait stays around. Last season the return of the bait marked an incredible fishing year! The coming week looks OK for the weather although strong winds mid-week. 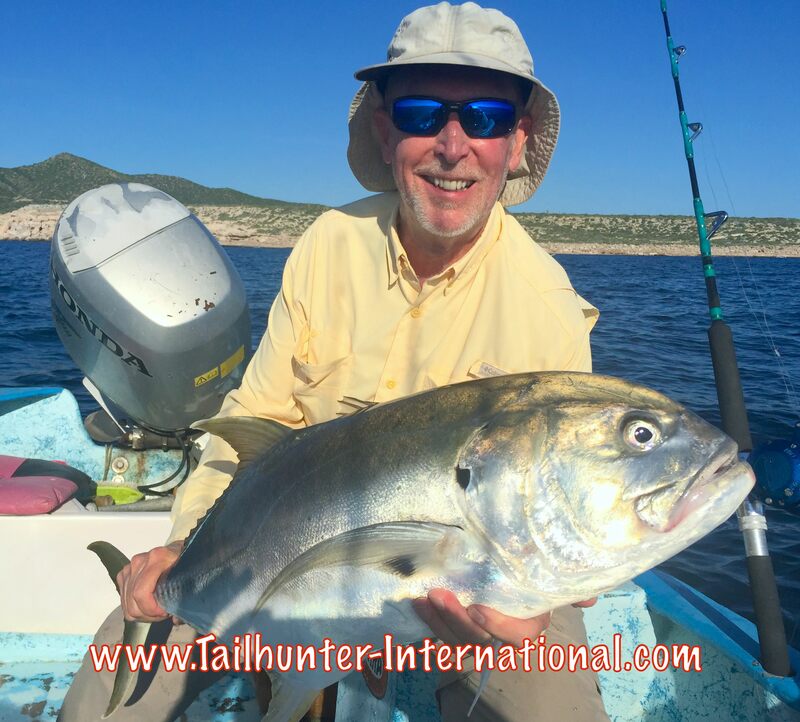 Big shout out to Gary Wagner owner of Rancho Costa Resort in Bahia Muertos where we’re doing all of our fishing right now for all the photos he sent. 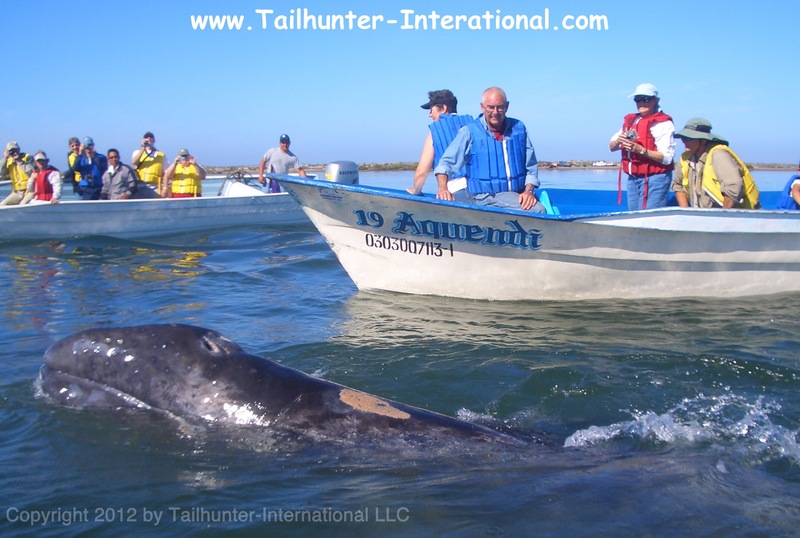 If you’re interested in staying at his great place, give us a shout at: Jonathan@tailhunter.com. 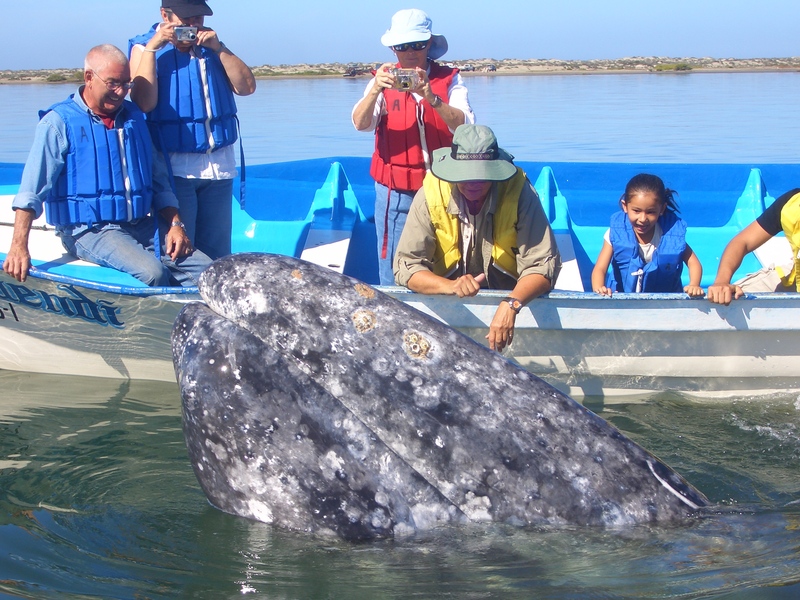 The migrating gray whales should be showing up any week now to spend the next several months with us after 3500 miles of swimming from the Bering Sea. 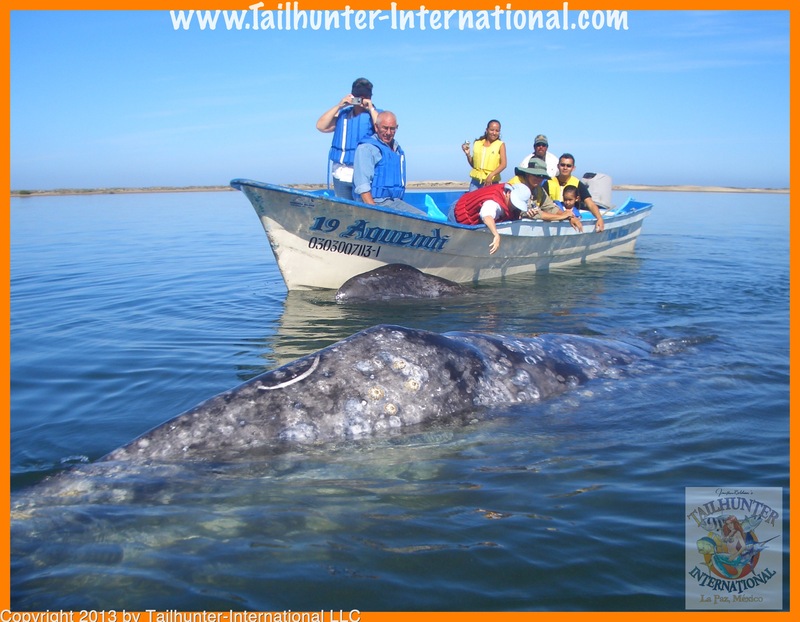 They’ll be at Bahia Magdalena until about March and February is a great time to lock in your trip with us to have an incredible experience close up to these great animals. It’s really popular and many dates are filled or nearing capacity so don’t wait. 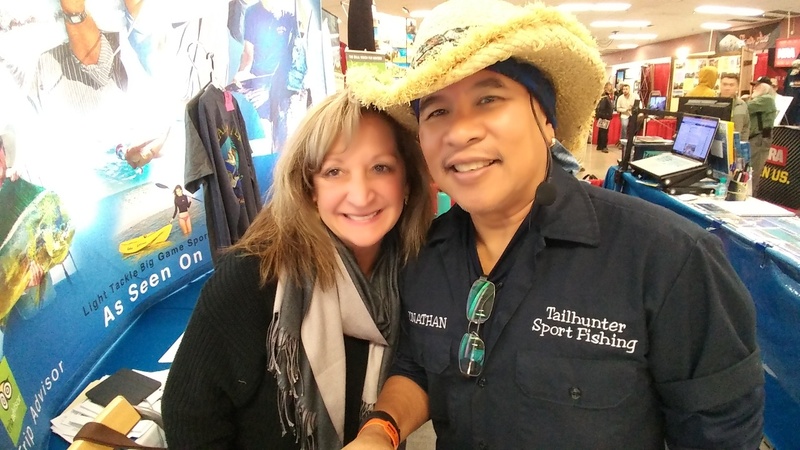 Contact us at: Jonathan@tailhunter.com and we’ll set you up! Getting the booth set up! Show starts Thursday! 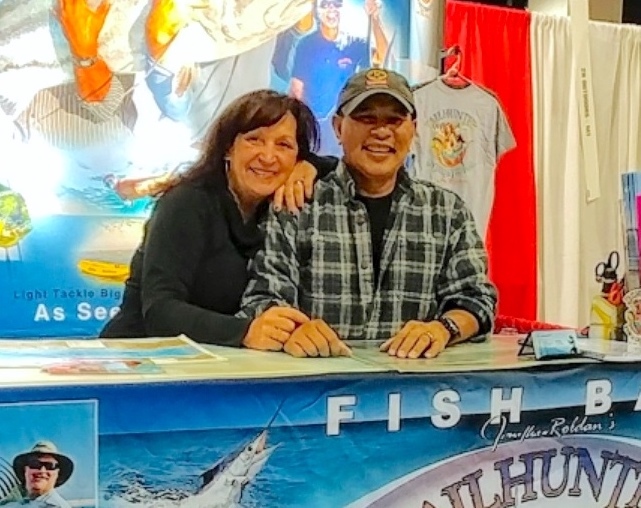 This is a huge show with 4 full days and more than 600 vendors from all over the world of hunting, fishing, travel, boating, camping and more for the whole family! It’s been a long drive but we’re finally here in Colorado setting up the booth and getting ready for the International Sportsmans Expo that kicks off this Thursday and goes to Sunday. 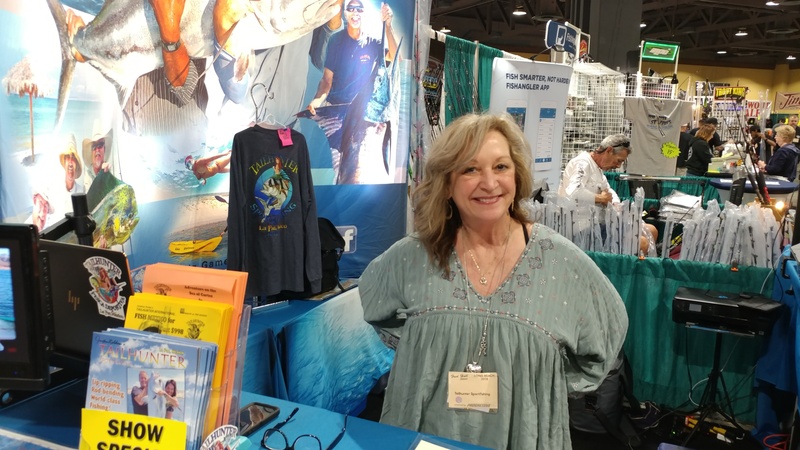 It’s in the Denver Convention Center downtown and is always a fantastic family event with over 600 booths and vendors from all over the world with travel, gear, hunting, fishing, boating, camping and more! We’ll be in our usual spot and would love to chat with you about visiting us in La Paz this week! Come say hi. Grab one of our 24 -page brochures and maybe a Tailhunter t-shirt! Here’s more info. Click the link. Hope to see you there.! We’ll be on the road for the next 3 months moving from city to city. 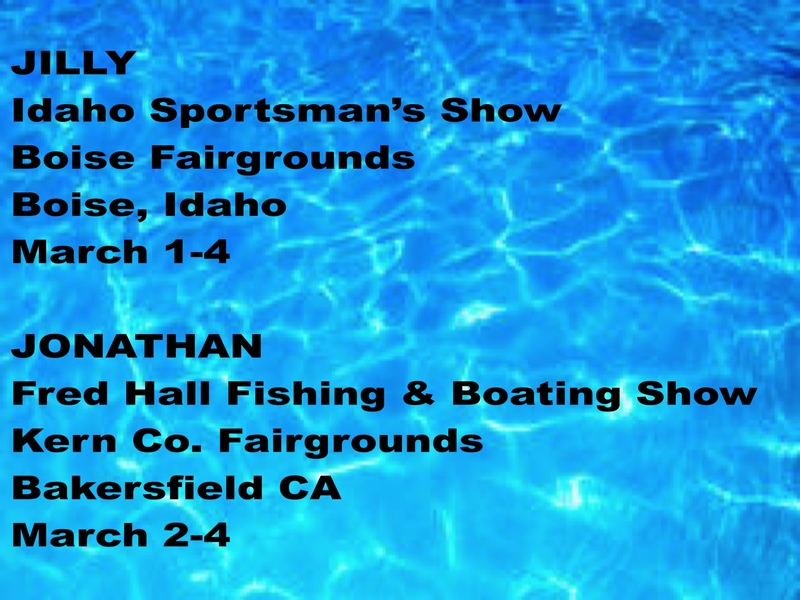 Next up on the agenda is Sacramento at the State Fairgrounds January 18-21.